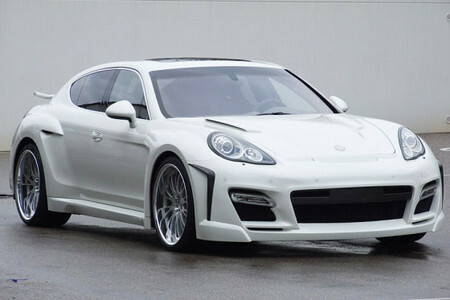 The first images of Fab Design’s mad Porsche Panamera have emerged showing a radically designed body kit which transform the already controversial looks of the car into something even more, well, controversial! The designers have just gone berserk and came up with the most extreme features they could think of! It looks like a spaceship. 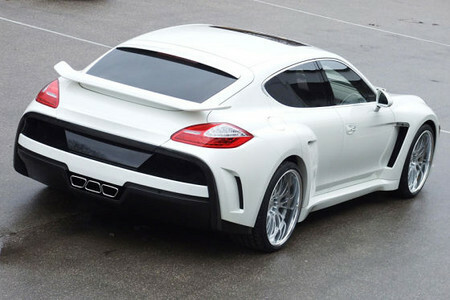 In fact every single panel of the Panamera seems to be changed! The car gets new bumpers, new fenders, rocker panels, sills, bonnet, diffuser, wings, it even comes with a crazy rear spoiler! But the coolest part of it is the new exhaust mufflers which are arranged in a very neat layout! Fab design’s program for the Panamera is not all about the show though. They also offer a great power upgrade. Their current plan is based on the Turbo model, in which they can give you up 700hp. As a result it does 0 to 100 km/h in 3.5 seconds and reaches 330 km/h top speed. This package looks very fascinating, but like all good things, it won’t come chip. 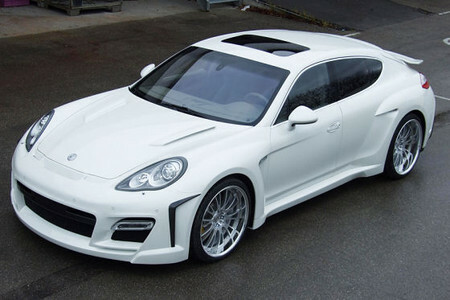 A Panamera Turbo equipped with this bodykit will run for 200,000 euros. Mind you the cost of engine upgraded and interior modifications are not included!